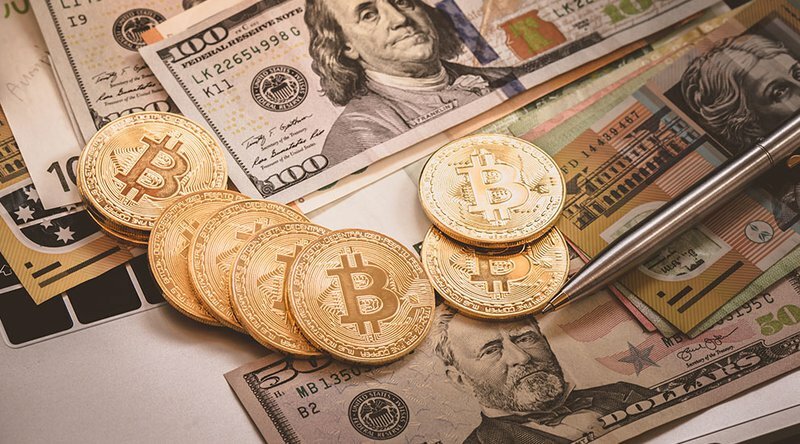 Due to regulatory uncertainty surrounding virtual currencies, many established financial institutions continue to associate them with money laundering and related criminal activity, and have chosen to avoid them altogether. Last February, for example, customers who tried to purchase digital currency through Citigroup were treated to serious delays and cancelled transactions after the investment firm made the decision to bar users from buying crypto using their debit cards or checking accounts. This decision was later replicated by establishments like Chase and Bank of America, both of which implemented bans preventing customers from purchasing cryptocurrencies on major exchanges. Thus, many virtual currency marketplaces still only allow customers to trade between digital assets, rather than dollar for crypto or vice versa. However, some banks are beginning to show signs of change in both attitude and business protocol, and have become more welcoming of cryptocurrencies. Popular digital currency exchange Coinbase has recently developed partnerships with Cross River Bank, Metropolitan Bank and Silvergate Bank in the United States. The company has even garnered a Barclays PLC bank account in the United Kingdom. Noble Bank International in San Juan, Puerto Rico, also took over banking duties for Bitfinex in 2017 after the exchange’s relationship with Wells Fargo came to a sudden end. Bittrex, which boasts roughly 3 million customers around the world, allows users to trade up to 200 different digital coins. Fiat trading capabilities will also be launched May 31, 2018, for bitcoin, Tether and TrueUSD. At press time, the service is only available to corporate clients in New York, California, Washington and Montana, though executives say they are working to expand this capability to retail investors once regulations are more defined. The 1 Bitcoin Show- BTC can’t be co-opted, ICO fans should take personal responsibility! In motion! U.S.-based FX settlement provider CLS has made a $5 million investment in blockchain software startup R3. Bitcoin’s corrective rally is gathering traction and may cross a key resistance hurdle soon, the technical charts indicate. Virtual Coffee Chat With Bitcoin Meister- BTCP, BTC and more! A few months ago news.Bitcoin.com reported on the platform Localbitcoincash.org growing popular and adding a few new features. Now the website has revamped its user interface and the website’s developer has added services like a direct crypto-to-crypto exchange and a shopping section where users can post items to sell for Bitcoin Cash. Localbitcoincash.org offers an escrow service so buyers and sellers can trade Bitcoin Cash (BCH) in a peer-to-peer fashion. The platform was launched in October 2017 in its beta stage and has seen a lot of changes since then. Localbitcoincash (LBC) pretty much offers the same services as its BTC counterpart Localbitcoins but also has a variety of other options for users. Since our last review, the website looks and feels completely different as the colors are now green and black in contrast to its older orange look. The front page shows a step-by-step walkthrough detailing how to use LBC alongside a list of buyers and sellers below this field. The sidebar to the left has a bunch of different options which include the fiat exchange where users can swap BCH for fiat currencies. Looking at the list of buyers and sellers on Localbitcoincash shows the platform seems to be getting a fair share of users. People from various locations all around the world are selling increments of BCH for their local currency. At the time of publication, prices range from the current spot market price found on online exchanges and some traders are selling for a few hundred more per BCH. The peer-to-peer LBC platform also has a crypto-to-crypto exchange that operates just like Shapeshift or Changelly but without fees. The peer-to-peer platform also has a crypto-to-crypto exchange that operates similarly to Shapeshift, and Changelly. Similarly to the operations of the aforementioned platforms, LBC gives registered users a deposit and receiving address so they can swap BCH for cryptocurrencies like BTC, Dash, Ethereum, Smartcash, Steem, and more. Under this feature on the sidebar is the send BCH by email service which allows users to easily send BCH to someone in this mannner. Furthermore, on May 30, the LBC developer announced the addition of a peer-to-peer shopping section where users can sell items for BCH. LBC’s newly added shopping section that allows people to sell goods via escrow. All these additions fit with our objective of allowing anyone to earn a living online, especially people from failed states and corrupt countries. In many of these places, citizens had to suffer from the consequences of the failed government for many decades — Our hope is that with Bitcoin Cash, this will change and help lift someone up from poverty into economic freedom and equality. The fiat exchange shows traders selling BCH are located all around the world but some have a cap on how much they are willing to sell. A great majority of the peer-to-peer trading arrangements on Localbitcoincash are ‘Meetup’ swaps where individuals meet in person to trade fiat for BCH. In order to get a scope of what type of trade an individual is offering simply hit the ‘view’ tab to read the trader’s arrangements. The developer of LBC is adding to the website regularly and with each visit the trading portal seems to be more user-friendly over time. What do you think about the exchange Localbitcoincash? Let us know what you think in the comment section below. Images via Shutterstock, and Localbitcoincash.org. The post Localbitcoincash.org Revamps Website and Adds New P2P Features appeared first on Bitcoin News. Representatives of Canada’s cryptocurrency industry are urging lawmakers to provide greater clarity regarding the regulatory obligations of cryptocurrency exchanges. In response to the absence of clear guidelines, a number of Canadian virtual currency exchanges have taken it upon themselves to voluntary register and report to Canada’s financial regulator. Canadian media has reported that a number of local cryptocurrency proponents are calling for greater clarity regarding the regulatory apparatus governing the operations of virtual currency exchanges. Joseph Weinberg of Shyft, a company providing identification verification services using blockchain technology, has argued that exchanges have been left in the dark as to their regulatory obligations. “Until you have regulators come out and say, ‘This is what you have to do,’ as an exchange, you’re kind of guessing and hoping for the best, which is a big problem,” Mr. Weinberg said. In the face of stark regulatory uncertainty, several Canadian exchanges have taken it upon themselves voluntarily to report to the Financial Transactions and Reports Analysis Centre of Canada (Fintrac). Vancouver-based Einstein Exchange has also adopted a voluntary reporting regime with Fintrac, in addition to taking measures to minimize the risk of credit card occurring on its platform. Michael Gokturk, the chief executive of Einstein Exchange, recounts that the exchange was hit with $8.3 billion USD worth of attempted fraud in a single day early into the exchange’s acceptance of credit card payments. “Our system went nuts,” Mr. Gokturk. Do you think that regulators worldwide will soon adopt clear regulatory apparatus for companies operating with cryptocurrencies? Share your thoughts in the comments section below! The post Canadian Crypto Exchanges Push for Greater Regulatory Clarity appeared first on Bitcoin News. Stephanie and Adam sit down with Bill Barhydt, CEO of Abra. They discuss his path towards solving the hard problems of remittance in real life, and the stablecoin system you’ve probably never heard of. Let’s Talk Bitcoin! #367 was sponsored by EasyDNS.com and ProofOfShirts.com.